Altering origin stories is always a tricky proposition. When you have to make that change due to legal reasons, it can be even tougher to make the change feel organic and not like something shoehorned in because of a demand from the legal department. 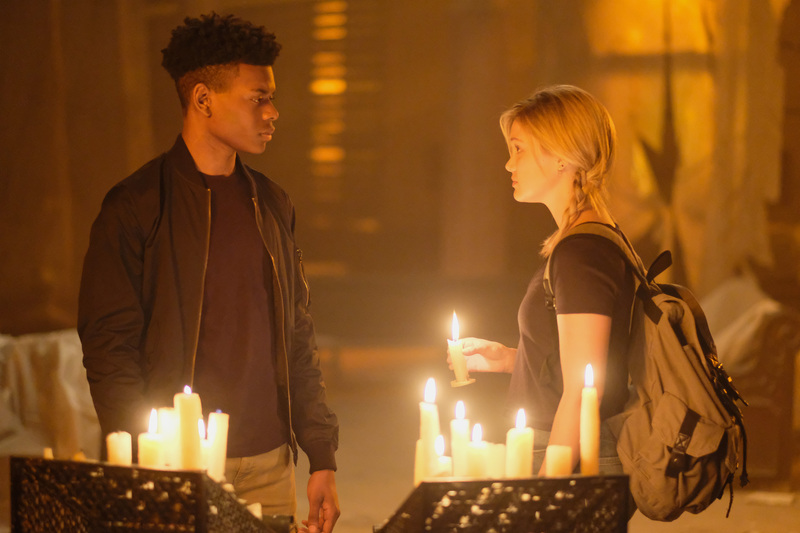 Cloak & Dagger has pulled this off like a freaking Wallenda walking a tightrope to such an expert degree that I’d argue the comic iteration of the characters should have their origin retconned from being mutants to this wonderfully tragic set of circumstances that sets these two kids on a path that will have them eternally intertwined in a truly epic way. Changing the life stations of each character is a gutsy, but necessary move. Portraying Tyrone as a homeless young black man in trouble with the law could definitely be seen as stereotypical and problematic in this day and age. By making him come from an affluent family and having Tandie be a white teenage runaway running scams to get by, it makes their storylines more palatable for lack of a better word without toning down the issues they face. Tyrone still has to deal with racial issues regularly and Tandie provides an opportunity to highlight the problems women have to deal on an all too regular basis. The pilot episode begins with the tragic way Tyrone and Tandie meet as children in the midst of a horrific accident that is disturbing, yet absolutely beautiful. It then time jumps to both characters being teenagers living life in very different ways until they meet again. Both Joseph and Holt are fantastic as teenagers trying to get through life without being overly angsty as most shows based around teenage life are prone to be. With the help of showrunner Joe Pkaski (writer on Heroes and Daredevil), they’ve created a fully fleshed out world and characters that feel like the fit perfectly there. To go into more detail would involve spoilers, but each actor deftly takes their path in drastically different directions while still feeling intertwined before their fateful reunion. The effects on the show are also done wonderfully. Cloak’s power being based in shadow is effective, but should frankly be expected. Dagger’s light powers, however, are an entirely different situation. Trying to bring abstract comic ideas like daggers made of light to the real world can be a tough undertaking. When we finally see a dagger, it looks like it’s pulled straight from the comic. It’s a physical manifestation of light in what looks like a jewel, but its dissolve back into Tandie works perfectly and doesn’t stand out or detract from the show. Getting effects to look right without looking cheap or overblown is something not to be taken lightly, and are the perfect touch just like the rest of the episode. 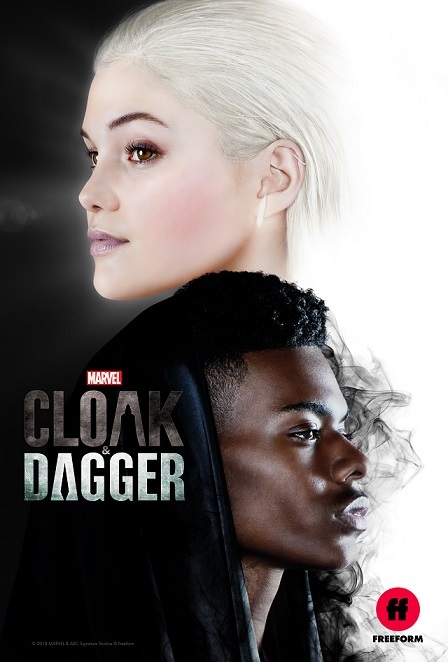 Cloak & Dagger also takes what some could see as a weakness, namely being on a channel aimed at young adults and featuring pretty people, and instead capitalizes on it. I would argue that the earnestness of the emotional turmoil of what Thandie and Tyrone are going through wouldn’t play the same way if the show were airing on Netflix or even ABC. This isn’t a shot at Freeform in any way, either. Beyond does a fantastic job of doing the same thing with a sci-fi bent. Embracing the perspective of adolescence and the relatively high emotional stakes of every life event is executed without a hint of irony or the unintentional condescension that adulthood brings with it. What results is a legitimately moving story of two young people trying desperately to find a place in this world for themselves where the degree of difficulty just dramatically increased. If you’re looking for a breath of fresh air in the superhero genre, look no further than Cloak & Dagger.